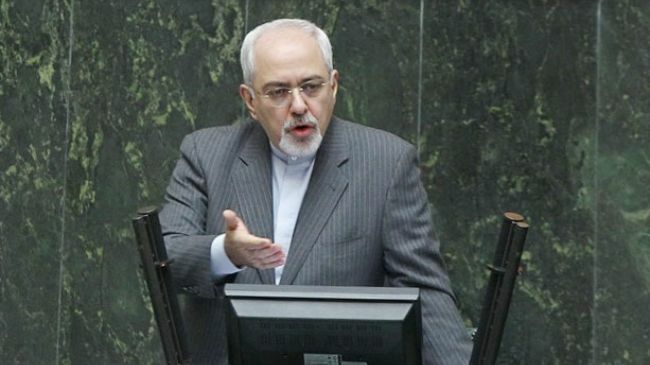 Tasnim – Iranian Foreign Minister Mohammad Javad Zarif said the US rhetoric against the Islamic Republic has its roots in Washington’s delusion and misapprehension. The Iranian top diplomat also said those who did their utmost to hamper the 2015 nuclear deal between Iran and six world powers, are now seeking to spread Iranophobia and Shiite-phobia in the region in collaboration with the Zionist regime of Israel. However, he stressed, it is now common belief among the American political elites that Iranophobia is no longer effective in the world. Zarif, who is the nominee for the foreign minister post in the Iranian president’s second term, also briefed the lawmakers on his future plans in diverse areas. Intensive sessions at the Iranian Parliament for vetting of President Hassan Rouhani’s proposed ministers continued for the second day on Wednesday with arguments for and against the nominee for the post of intelligence minister. If any of the proposed ministers fail to win a vote of confidence, Rouhani will have up to three months to name a replacement. President Rouhani submitted the list of his ministers to the Parliament on August 8, four days after his swearing-in ceremony. The president took the oath of office on August 5. He had two weeks to submit his new cabinet to the parliament but drew up the shortlist in only four days.